The recent rains brought mixed signs from the earth: new cool weather crops of kale, cabbage, cauliflower and broccoli thrived with the light drizzles for a few days, but any semi- ripe tomatoes had to be picked. I had a marathon picking session on Sat. morn: got soaked and muddy and felt like a little kid out there- memories from childhood. The farm stand is always open every day. It’s an honor stand so you just put your money in the slot. Chickens have slowed down with the change of seasons so we are only getting an average of 8-9 of fresh brown eggs a day. The demand is huge for the delicious eggs- so put your order in so we can save some for you. A favorite is our winter squash which is being cured (After we pick it, we store it in a cool spot with plenty of air circulation so it can sweeten up). It will be ready on the farm stand just in time for a Halloween soup or stew. We have only a small amount this year so it’s going to be first come, first serve. Delicious recipes are at the stand for you to try. 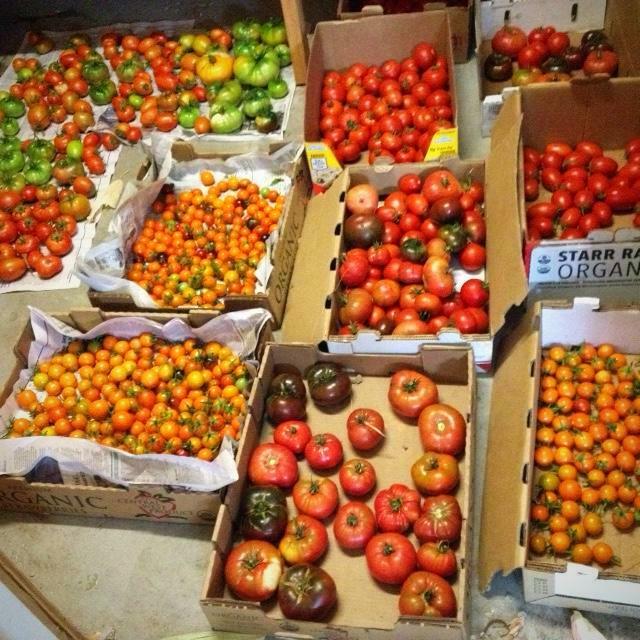 We also have yummy garlic, (Italian purple and Red Chenok), tomatoes of all kinds-the most delicious slicing tomatoes are the Black Krim and Rose heirlooms. We also have peppers (mild -hot), lemons, chard, and herbs; sage, rosemary, thyme, and oregano, but we don’t put them out as they wilt in the heat. Just call us (481-9205) and we can pick you whatever you’d like. All are certified organic from the farm. Take Huasna Rd. and follow the signs: Organic Farm Stand. 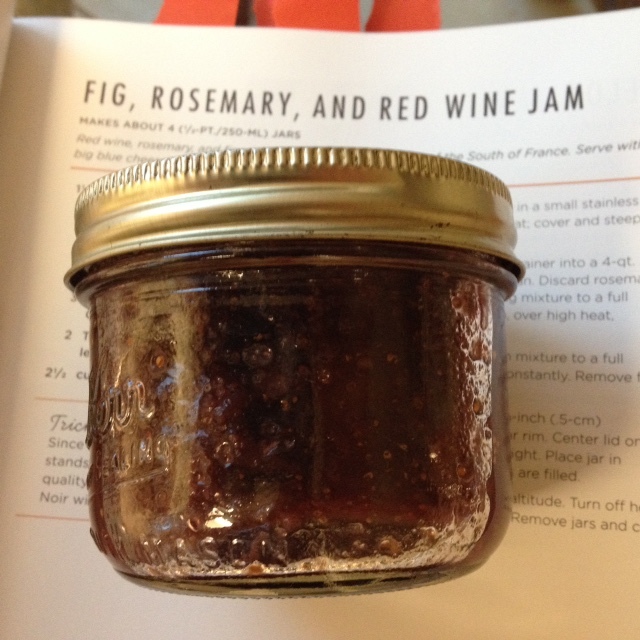 I’ve been cooking marinera sauce, persimmon savory sauce, jalapeno jelly, tomato jam and this scrumptious Red Wine, Rosemary and Fig Jam. Lots of great products for gifts for the holidays: Natural Soy Candles: all the favorites and the new scent Raindance is a hit! Harvesting Hope Festival 2016: Trilogy at Monarch Dunes: 1645 Trilogy Parkway in Nipomo, Sunday, October 22 from 12 noon-4 pm. A benefit for the Five Cities Homeless Coalition & Nipomo Food Basket. Last Art in the Park of the Year: Dinosaur Caves Park in Shell Beach; November 6: Tourists are gone so great time for locals to get holiday gifts. Halcyon Store Faire at Elm Street Park: New location for an age-old traditional faire: November 12 & 13 from 10 am to 4 pm. Wonderful faire for great local gifts for the holidays. My favorite event of the year! Hope to see you locals at one or all of these events! Tuesday afternoons – 5:30 – 6:45. Only $12 a class! Today, we hear more and more about the concept of Self Love. Yet, what does it mean to truly love oneself? Bring an open heart, a healthy dose of curiosity, a willingness to share your experience, and a sense of humor. Flyers will be available in the Yoga studio and ONLINE HERE. To schedule a session, please phone Deborah @ (650) 815 – 8910. All private sessions will be held at Branch Mill Organic Farm and Retreat Center in the Yoga Studio. Sunday, November 13 @ 6:00 pm. Our ceremony this November will honor the Beaver Full Moon – The name Beaver Full Moon comes from the fact that the beavers are now active in their preparation for winter. The moon will also be at an extreme perigee this day at 6:00 a.m., at a distance of 221,524 miles (356,509 kilometers) from Earth. It will truly be a “Supermoon,”as the last time the moon came this close to Earth was on Jan. 26, 1948. *reciprocity donations are gratefully received ($5 – $10). Mention the newsletter to get $5 off your next purchase from Ruth’s Herbal Remedies!